Blankets By Brian (ME) only uses the HIGHEST quality Faux Fur (Minky/Cuddle) Material. I have also found that it is extremely durable. The only thing that wears them out faster is heat in the wash/dry cycles and fabric softener. No FABRIC SOFTENER (Ever!). No Laundry Pods. No "scents" or additives in the soap. Tumble dry, in Dryer, with NO HEAT. I like 20-30 minutes, it will soften and fluff. your Items in COLD water with Eco-Friendly Soaps. Which means... No Dyes, perfumes or Fabric softeners in the soap. Laundry Pods have Fabric Softener & scents in them, these are death to faux fur fibers. The dissolving pack in some cases will not fully dissolve because it will cling to fibers and will hang on like gum. DO NOT USE with Faux Fur/ Minky products (Click on the link to see a few examples - Eco-Friendly Laundry Soap). Heavy Soaps (Heavy= soap that includes scents & fabric softeners) & Softeners will cling to the fibers and will drastically reduce the softness. Vinegar is an excellent fabric softener & is an amazing substitute. Just add it to the "fabric softener" dispenser. Vinegar in the rinse cycle will also help reduce static. Tumble air dry until the item is about 90% dry, then pull it out and lay/hang it to dry the rest of the way. I can guarantee this process and you will love the results. I suggest that you wash your faux fur/minky items often to remove dirt, body oils, smells and lotions that accumulate with use. Even a light wash can be effective, or even just running the Items in a Rinse & high speed spin Cycle can dramatically revive the item. Just add a 1/4-1/3 cup of White Vinegar, depending on the load size, to the rinse water. Vinegar in your Wash note: I get this question/comment all the time. "I hate the smell of vinegar. I don't want that smell on my clothes and blankets." Please try this method once and I promise you will love it. There is no smell that goes along with vinegar. Even if there was, the smell of vinegar would dissipate quickly. 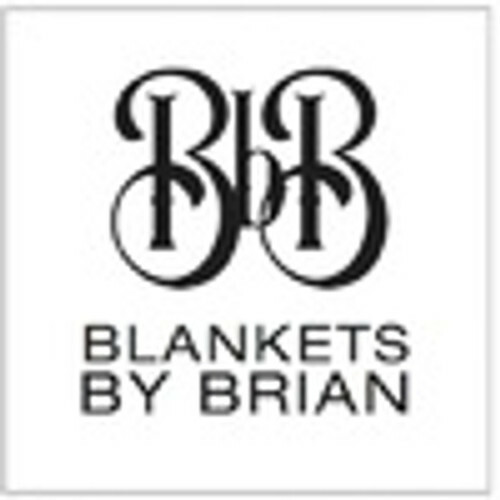 Follow these suggestions and your Blankets by Brian item will last for years and years, and feel like new after every wash. There is no need to Dry Clean, but it's perfectly fine to dry clean if you desire. I haven't tried that, but prefer washing with hydrogen peroxide, vinegar, baking soda, and eco friendly (sensitive skin) soaps. I Consider both methods, Vinegar or Hydrogen Peroxide, great cleaning methods. Very gentle cleaning, better for the environment and Minky will feel new again. However, in my experience I have noticed that the Hydrogen Peroxide method comes out of the cycle just a little bit softer. Not much, but a little. If your order DARK RED or BLACK Faux Fur items, You should wash them separately 3-5 times. These 2 colors have a tendency to "bleed" which mean that the color can run off and stain other articles. A simple way to test the fabric to see if it has stopped bleeding, wash the item with a old White Sock or White towel that you can throw away. If the White sock comes out white then you are safe to wash it with other items. This is a great "How To..." Video from our friends at One Good Thing by Jillee. They know how to DIY everything. In this video Jill teaches us how to remove stains with baking soda. With Minky or Faux Fur Material you can use either Warm or Cold Water. Both are equally effective. You can buy them on Amazon: BUY "Wool Dryer Balls"